Abstract: In this month’s MJ Studies Today column, Kerry Hennigan looks at Michael Jackson’s art and beliefs about childhood in the context of the work of some of the Romantic poets and authors from the Golden Age of children’s literature. She suggests that considering Jackson’s work as a modern expression of the same Romantic tradition can lead to better understanding of his creative vision. Hennigan, Kerry. 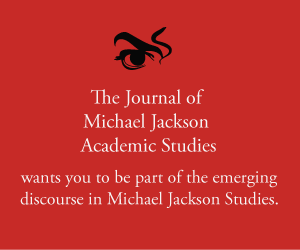 “MJ Studies Today XXXVI (16-12-2018).” The Journal of Michael Jackson Academic Studies 6, no. 2 (2018). http://michaeljacksonstudies.org/mj-studies-today-xxxvi/. Many may think of Michael Jackson’s self-avowed love of children and views on childhood as unusual, strange and even unhealthy. However, Jackson was following in the tradition of celebrated British Romantic poets and writers of the 18th/19thcenturies in the sentiments he expressed in some of his lyrics, speeches and other works, including the conversion of Sycamore Valley Ranch into his own personal Neverland. Of course, while we can consider his work in the context of the literary tradition of Blake, Wordsworth and Barrie, Michael was actually expressing a facet of his personality which was irrepressible – a consequence of his personal lack of experience with what most would consider “normality” for a youngster growing up in the 1960s and 70s. It has often been said that, as a child star, Michael Jackson was an old soul inhabiting a young body; someone who sang with the emotions of an adult while still a pre-teen. Comments like this certainly highlight his prodigious talent; but also indicate that he was unfairly hamstrung by the exploitation of it in terms of his limited opportunities to enjoy a childhood that did not involve long hours of hard work and high expectations of success. Michael was ridiculed and reviled for his sensitivity. Some critics just did not believe him. Like Peter Pan’s creator, J.M. Barrie, his friendships with children prompted claims of impropriety from those who did not understand how an adult male and unrelated child could possibly enjoy an innocent relationship despite the lack of any evidence to the contrary. The idea of such impropriety was abhorrent to Jackson; it was the antithesis of all he believed, the ideals he strove to achieve throughout his career, and the focus of his philanthropic work. The art and philosophy of Michael Jackson are heirs to the work of the poets and authors of the Romantic and Golden ages who were enraptured by an idyllic vision of childhood and believed in the healing potential of children. Perhaps if critics of Jackson’s work could view it in this context, they might better understand what he was talking, writing and singing about. They might even better understand him. Jackson, Michael “Childhood” from the album History: Past, Present and Future, Book 1(1995).